So, we have examined the key steps of the buying process. But, within each step, how much discretion remains in the hands of the manager-buyer? Is the buying process a flexible blueprint or a rigid rulebook? The Fortune 1000 buying process we have highlighted is highly prescriptive, something that is increasingly common. It clearly mandates what it considers to be ‘the science of buying’. This is evident from the list shown overleaf of the actions to be completed for each step. These actions are mandatory, not optional. Buying in large organizations is the equivalent of painting by numbers, with each step clearly prescribed and little left to chance. As the diagram above shows the process of the Fortune 1000 organization outlines a total of 59 key activities across the various steps. For sellers impatient with the progress of a sale it is worth noting there are approximately 10 activities to be completed in each of the six steps of the process. Well, before answering this question let us draw some conclusions about the nature of the tasks set out in the buying process model. In particular what it indicates about the nature and sophistication of modern buying. 1. The process is a cerebral one. In our example, the terms ‘plan’ and ‘planning’ are referred to in 13 places throughout the process. Indeed the process is best described as a planning process. Clearly the decision is not going to be rushed, nor is it likely to be one where the vendor’s information is taken at face value. 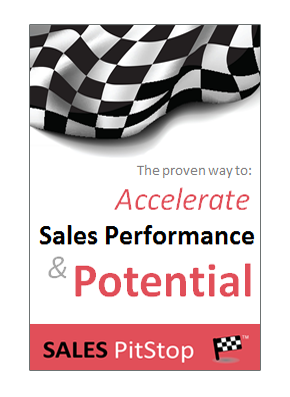 The challenge for the salesperson is to be a part of that planning process. 2. Business logic drives the process. One of the most consistent themes of the buying process is the ‘business case’. As highlighted in the diagram overleaf it is to be found in all six stages of the process examined here. Vendors take note — the terms sales proposal, presentation or pitch do not feature at all. As we will see in Section 3: The Why of the Buying Decision, nothing short of a compelling business case will be required to ensure the purchase gets sanctioned. 3. The information requirements of the process are significant. Each step requires data to be gathered — from the ‘market analysis of available solutions’ in Step 1 to the ‘review of results against the business case’ set out in Step 6. It is clear that marketing blurb is going to be of little value to buyers. Sellers must provide information that is expert, valid and useful. 4. The tasks are very much action oriented using verbs such as ‘outline’, ‘assign’, ‘finalize’ and so on. Actions are highly practical, with requirements to ‘analyze, validate and prioritize requirements’ or ‘develop use case and flow diagrams’. Buyers are clearly being told what they must do and little is being left to chance. 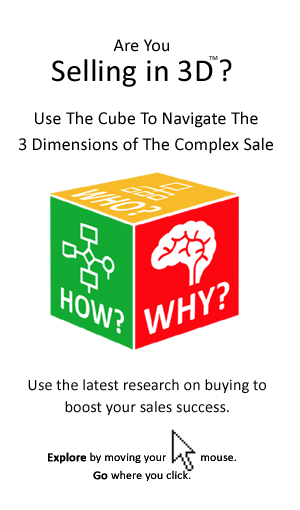 The implication is the seller’s idealized notion of the sales process must flex to the realities of the buying process. The salesperson’s new role is to help the buyer navigate the increasingly demanding requirements of their internal processes. 5. Most of the tasks are centered on producing outputs. For example, an initial business case is the output of Step 1. The process is evidence-based and highly documented. Typically there is a template/corporate standard for the key outputs of each stage. So, while seller’s proposals take a variety of formats, the business case prepared by the buyer is likely to follow a well-defined and consistent standard. 6. A high level of self-reliance is evident. For example, buyers are defining their requirements (Steps 1 and 2), defining the solution (Steps 3 and 4) and building the business case (Steps 1 and 3) without recourse to sellers. One might even suspect that the project when defined might be offered to internal resources for completion, as well as to external suppliers. Herein lies a major challenge: With the buyer doing much of the work traditionally undertaken by the seller, just where does the salesperson fit in? Finding a way to add value to the buyer’s process is absolutely critical. 7. The buying process is in many ways akin to an internal sales process. As projects and purchases compete for scarce organizational resources, managers must get buy-in to their projects from all the various stakeholders. This is evident from the ‘initial use and customer cases’ defined in Step 1 to the ‘user acceptance testing’ in Step 5. In this respect, the seller’s job has transitioned from selling to the buyer to helping the buyer sell. Meanwhile, the greater degree of consultation and consensus inherent in modern buying makes the sale slower and more unpredictable. The seven characteristics of the buying process that we have just described have major implications for the salesperson and the sales approach. This is something that we will discuss as we progress through the remainder of the book.